unique additions to any household. Offering a variety of vintage and antique items, along with an extensive array of old-fashioned candies, Ramona Antique Fair is a popular stop for visitors and residents looking for something unique. With more than 50 different dealers under one roof, Ramona Antique Fair, at 734 Main St., is a great place to find new — and old — treasures. At Affordable Treasures you will find multiple vendors and artisans under one roof, including hand-made, vintage, and re-purposed items. 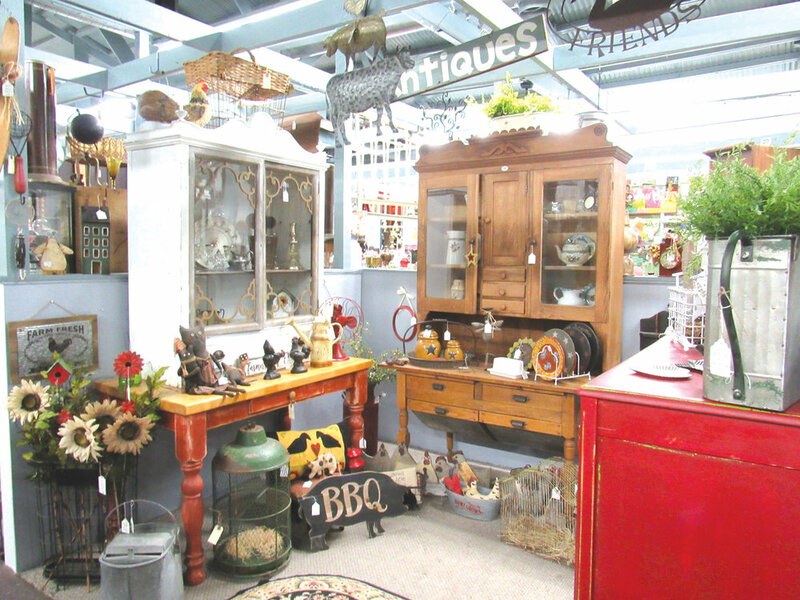 At Squash Blossom Trading Co., located at 746 Main Street, shoppers will find a wonderful selection of antiques, fine jewelry, rustic furniture, Mexican silver and more! Simple, sweet, funk and junk, Squash Blossom has it all! Owner Victoria Townsend curates the shop and all its fabulous items. Do good while you shop! At the Ramona Food and Clothes Closet shoppers will find gently used items, some of which are vintage, including jewelry, decor and furniture. And all of the net profits from sales go back into the community through community grants, educational scholarships, homeless programs, and emergency assistance, so you can feel good about your purchases.